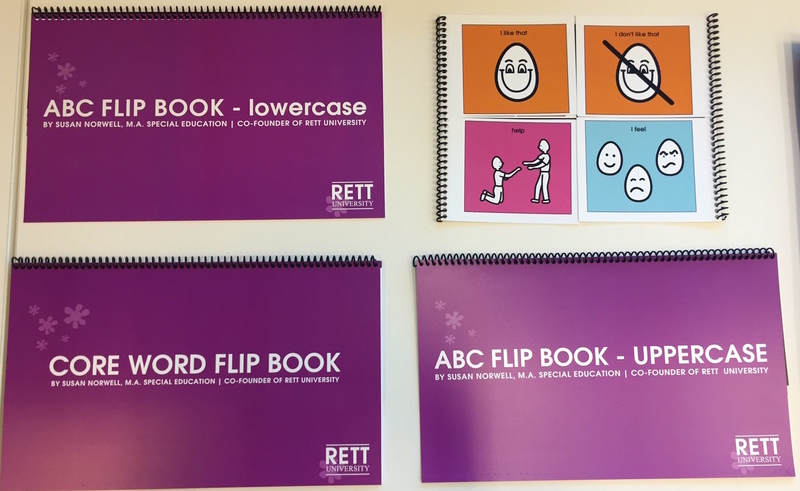 LinkAssistive has partnered with Rett University to bring you Susan Norwell's popular Communication Flip Books. 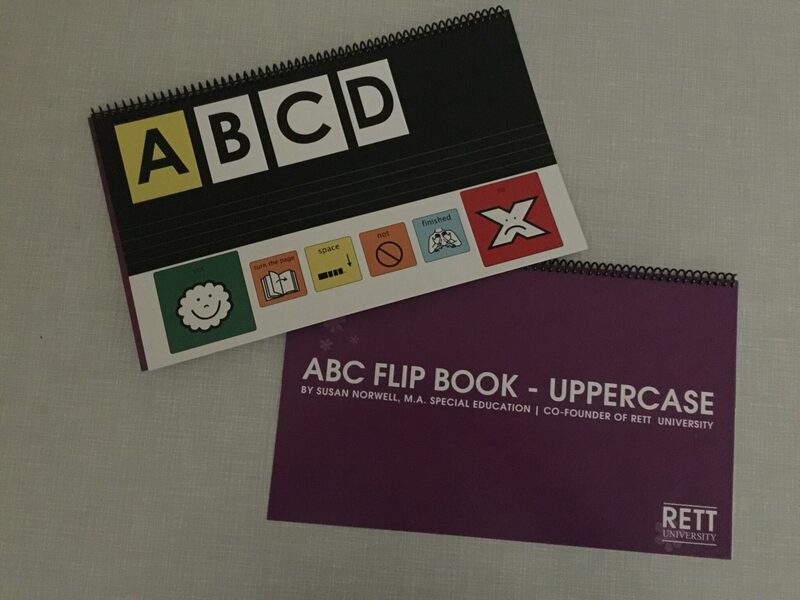 The books have been professionally printed on durable Mohawk Performance Polyester plastic material that won’t tear, is weather resistant and environmentally friendly. 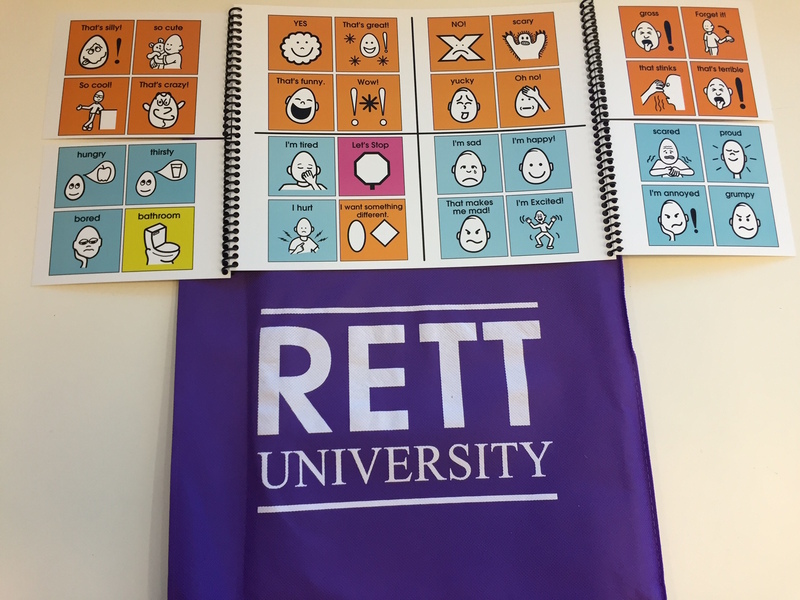 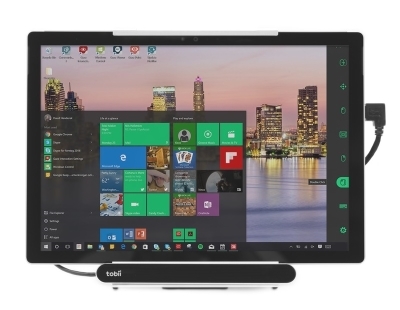 The Four-Grid Communication Book is a “soft-tech” communication option for both beginning and more experienced communicators who need an alternative option when high-tech device use is not appropriate (i.e., Please don’t take your Tobii to the pool!). 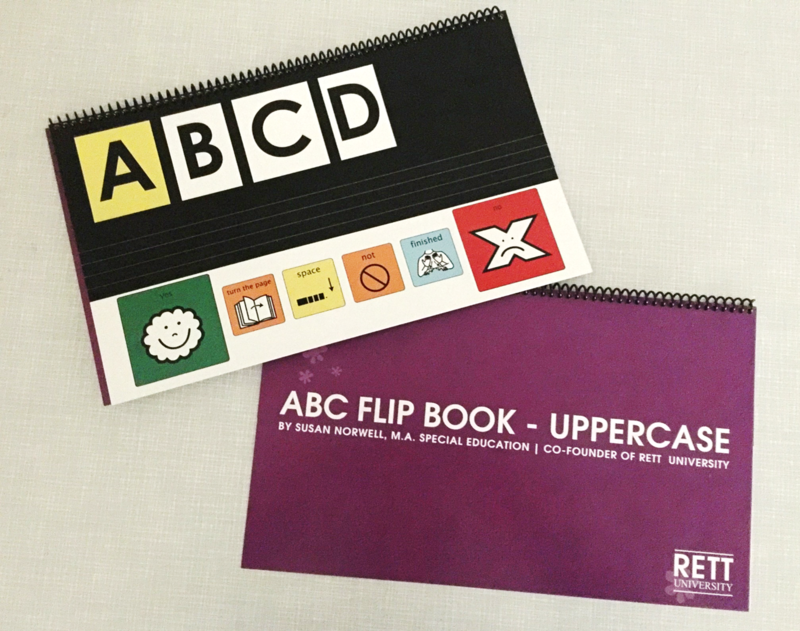 The ABC Lowercase & Uppercase Flip Books are excellent tools for building writing skills for individuals who are not able to use their hands or a switch for writing. 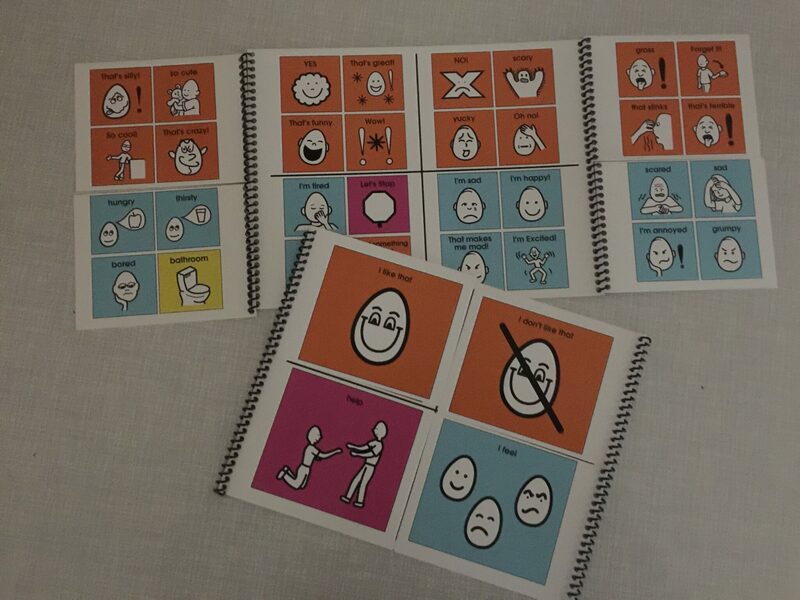 Most children begin to scribble at 12-18 months and many individuals with significant disabilities are unable to participate in this important developmental milestone. 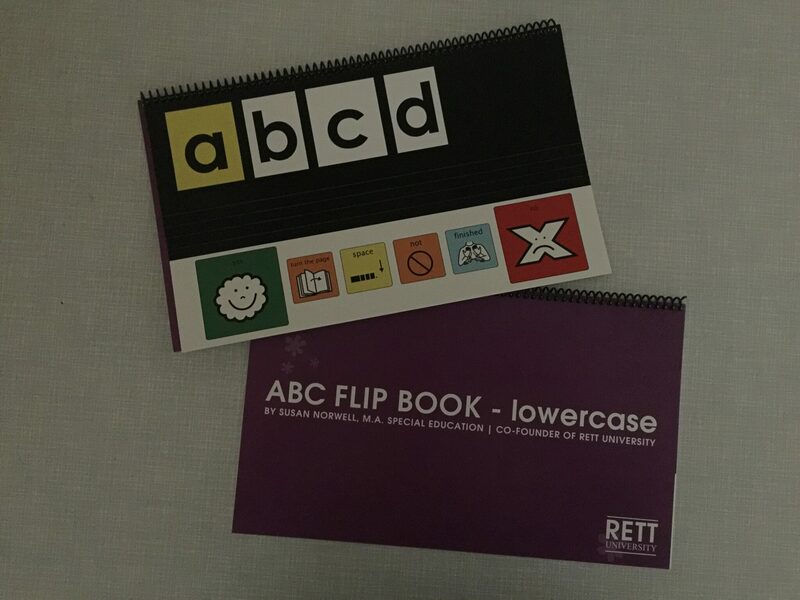 These books are tools to support the scribbling a child needs to do before they learn to write more conventionally as well as a tool for conventional writing. 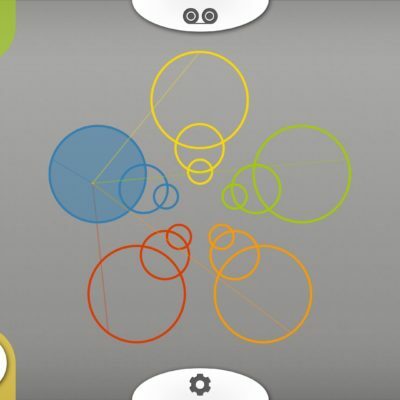 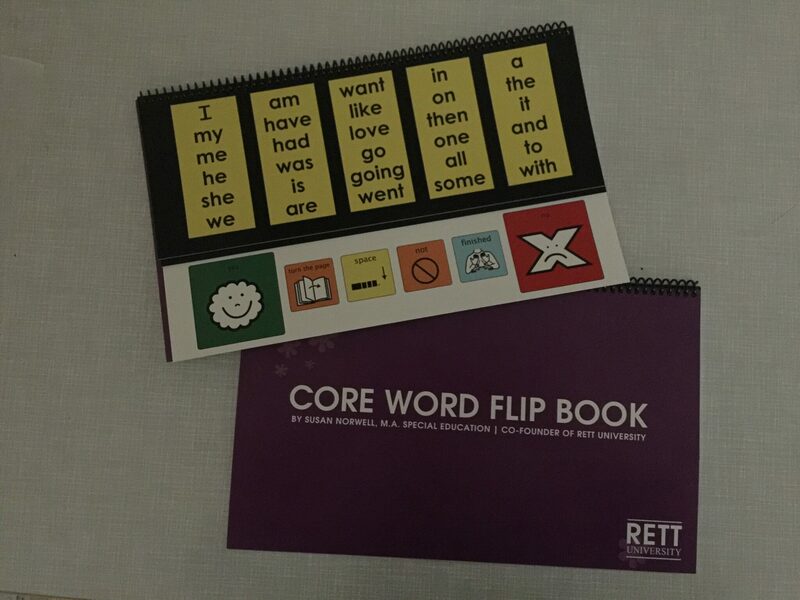 The Core Word Flip Book is an excellent tool for building writing skills, in conjunction with the ABC Flip Book, for individuals who are not able to use their hands or a switch for writing. 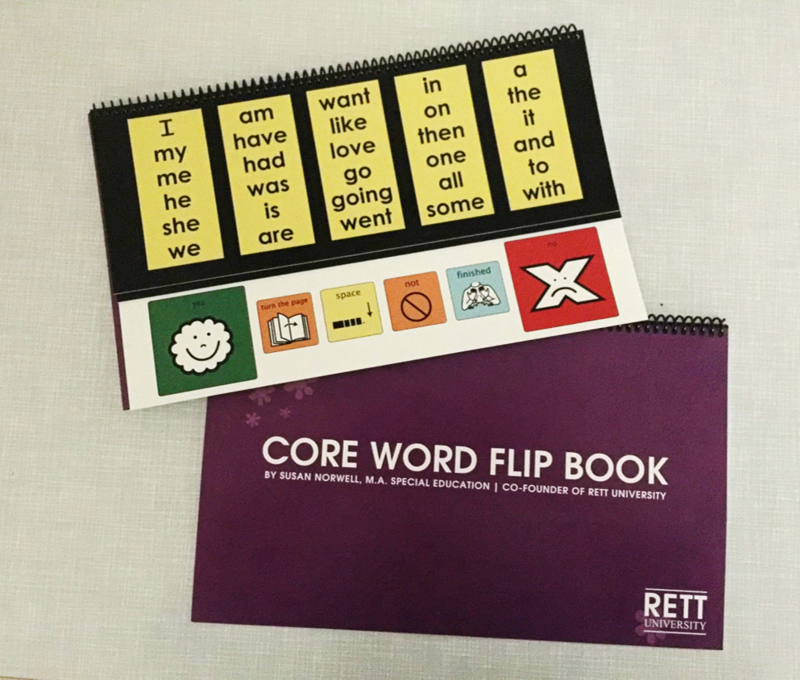 This book is designed to help “speed up” the writing process by providing key sight words that are an essential part of writing while simultaneously teaching the reading of the Core Words.